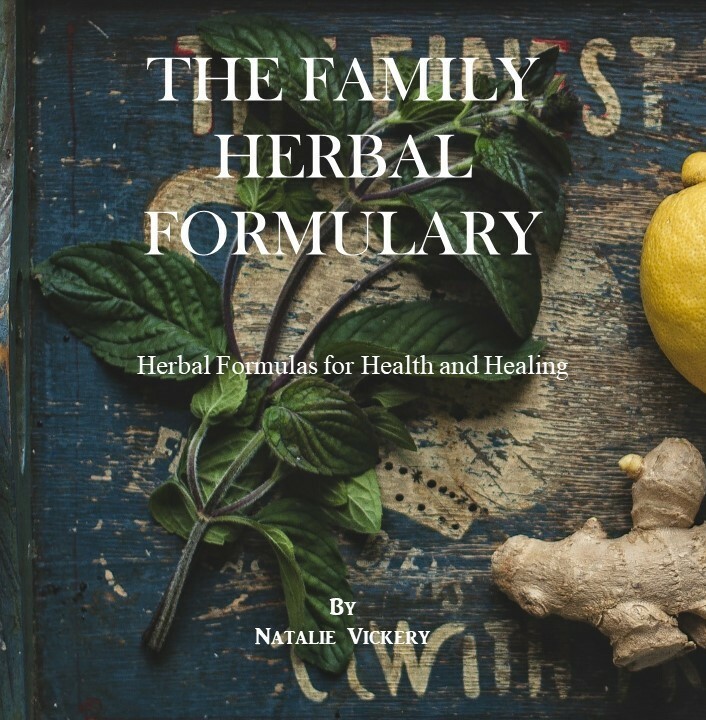 I’m excited to announce that my Ebook, “Mother’s Little Herbal Helper and Home Remedies”, is now available for purchase. My inspiration for this Ebook are all the calls I get from people asking what they can use for acute conditions around the home. This book includes over 50 home remedies and information on prevention, nutrition, plant medicines, making herbal preparations and much more. 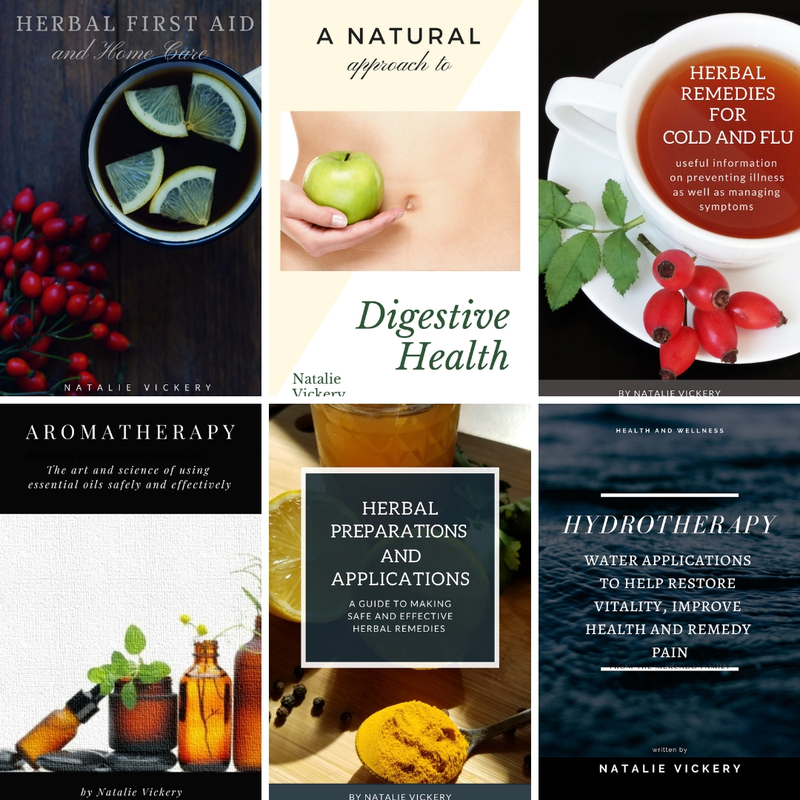 Whether you’re just starting out with herbs or merely interested in learning about tried and true herbal and natural remedies for your family, “Mother’s Little Herbal Helper and Home Remedies”, is the book for you. 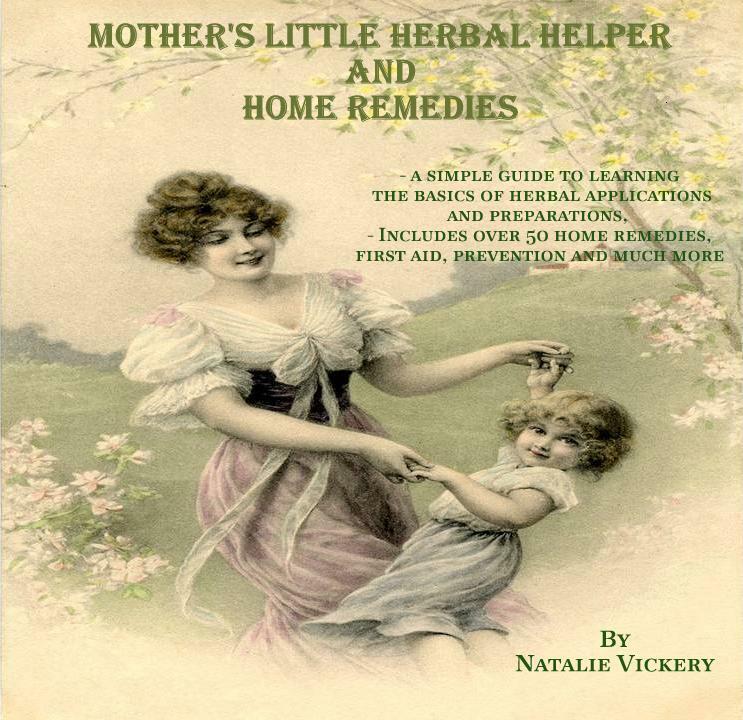 Mother’s Little Herbal Helper and home remedies is a great reference guide to have around the home or would make an excellent gift for mother’s to be or grandparents alike. So as you can see this E-book is absolutely loaded with information. Bonus: Also includes an Introductory class on Aromatherapy (Powerpoint), beautiful printable handout, “The Possible uses of Essential Oils” and 3 lovely Aromatherapy Recipe Cards which can be printed out and laminated. I have to admit I have become a compulsive label reader. So… just out of curiosity I read the label of a children’s pain reliever and fever reducer. I won’t mention the name, but I will tell you that it rhymes with Mylenol. I was absolutely blown away by what was in this over the counter drug that is given to millions of children each year. Anhydrous citric acid, butylparaben, FD&C Red#40, flavors, glycerin, high fructose corn syrup, microcrystalline cellulose and carboxymethyl cellulose sodium, propylene glycol, purified water, sodium benzoate, sorbitol solution, sucralose, xanthan gum. I don’t know about you, but I don’t feel real comfortable with those facts. With that said I’m here to tell you that there are a lot of wonderful herbs that can be used with kids in lieu of over the counter or prescription drugs and they are much safer and very effective. Even many of the spices you may have in your kitchen cabinet can be very effective when it comes to treating acute conditions. Garlic – This herb is one of the most valuable herbs you will ever have around the house. Often called, “Poor Man’s Penicillin”, garlic is by far much more effective and safer than any antibiotic on the market. Garlic is highly effective against both viral and bacterial infections and can be your first line of defense against antibiotic resistant infections. Asthma (acute) – Simmer two cloves of garlic for 20 minutes and drink a glass once the mixture is cool. Congestion – Soak a 1 pound of garlic in a quart of boiling water for 10 or 12 hours. Strain out the garlic and mix the liquid with 4 pounds of honey and bottle. Take 1 teaspoon for congestion. Ear Infection – Chop up several cloves of garlic and soak them in olive oil for a minimum of 30 minutes or overnight. Strain out the garlic and warm the oil to body temperature. Place several drops in the infected ear. Also treat the none infected ear. Ginger – Not only is ginger a very effective antibacterial herb, but it is also a very good expectorant, pain reliever, circulatory stimulant, immune stimulant and diaphoretic (increases circulation to skin). Ginger is often used for motion sickness as well as nausea associated with chemotherapy or morning sickness. Honey – This sweet treat is loaded with vitamins and minerals and is like a first aid kit all rolled up into one remedy. Honey is extremely effective taken as a preventative or during the course of colds, flu and respiratory infections. Honey is also a very effective wound healer if applied topically to burns, ulcers and various other skin afflictions. Caution: Do not give to children under 1 year of age. Sage – Often found in most kitchen cabinets this culinary herb is a wonderful antiseptic/antibacterial herb and can be applied topically for infected wounds or taken internally as a tea for various conditions such as sore throats, respiratory infections and dysentery. Cayenne – This hot and spicy herb can be used topically to stop bleeding, to reduce inflammation and as a counter-irritant which may help relieve pain. Internally Cayenne is taken as a digestive aid, anticoagulant and circulatory stimulant. Cinnamon – There is some research to indicate that cinnamon may be effective in helping to regulate blood sugar and is a wonder addition to any diet. As a carminative (alleviates gas/bloating) Cinnamon may be useful for colic, cramping, nausea, flatulence and vomiting. Cinnamon is also astringent and may be effective in acute cases of diarrhea. Anise – Not only good for the digestive system, but anise has also been used as an expectorant for chest congestion and mucus. – Seeds may be chewed to help relieve indigestion or as a breath freshener. – A compress made from the tea can be used topically to help relieve pain. – The seeds can be used to make a syrup or tea which may be beneficial for coughs. – A tea made with Anise may help to stimulate the flow of mother’s milk. – Taken as a tea it may help to remedy colic, flatulence, cramp/griping, bloating and indigestion. 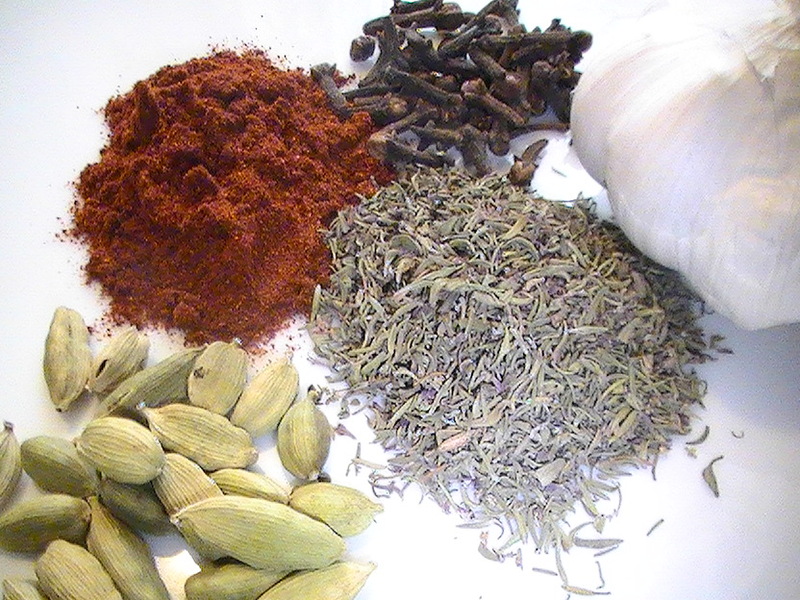 – A nice addition to herbal recipes to enhance flavor. Clove – Because of its pain relieving action, Clove has traditionally been used as a popular folk remedy for toothaches. Clove is also known to naturally relieve inflammation and is antifungal therefore making it potentially beneficial for parasitic infections. CAUTIONS: Do not give to children under 5 and always dilute clove oil in water or oil. Basil – An herb used for centuries in both culinary and medicinal applications, Basil is said to be both cooling and heating in its actions. Traditionally, it has been used in instances of melancholy (depression), indigestion, and for insomnia related to nervous tension. Basil is also used for conditions ranging from colds, fevers, kidney and lung troubles. – Apply as a poultice for bacterial infections and burns. – Crush leaves and apply the juice topically to help with the itch of insect bites and inflammation of the skin. – Use as a steam for head colds. – Mix the juice of the leaves with honey for coughs. 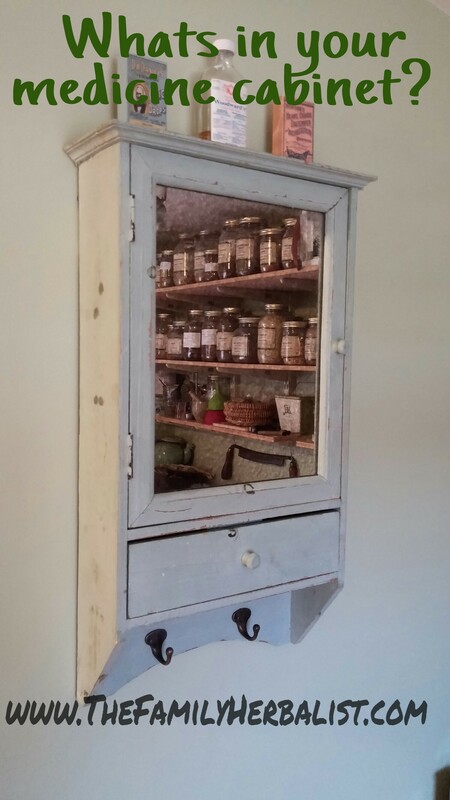 The list of beneficial herbs found in the spice cabinet are endless. Just about all culinary herbs can be used for various conditions which range from digestive issues to respiratory ailments. Why rely on over the counter drugs which are loaded with various synthetic chemicals when you can use natural alternatives which are very safe and effective and have been used for centuries.